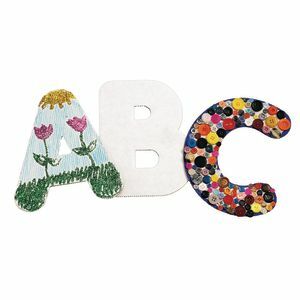 These 9" uppercase cardboard letters are great for collage decorating or bulletin boards. 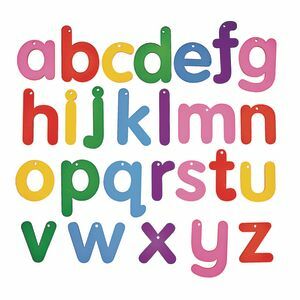 Set of 26 (A-Z) for all sorts of alphabet fun. 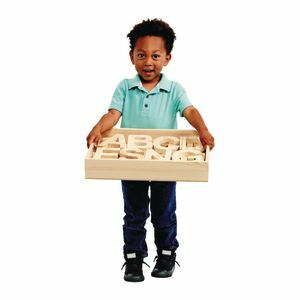 Letters are 9 3/4"W x 9"H.
Learning the alphabet is a lot more fun with these jumbo wood alphabet letters. 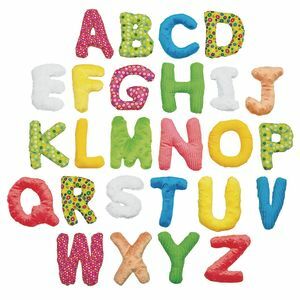 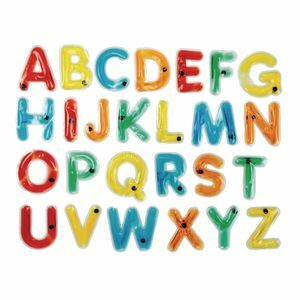 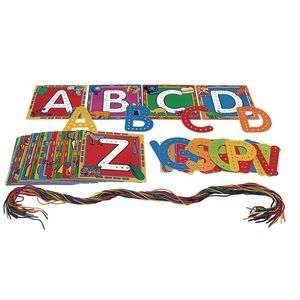 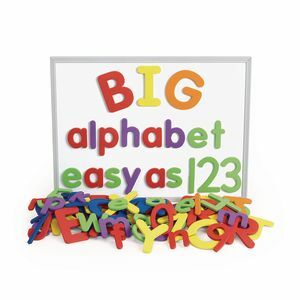 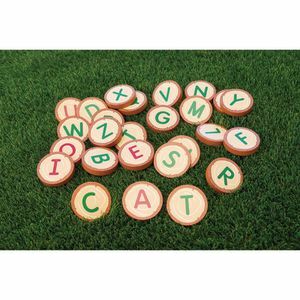 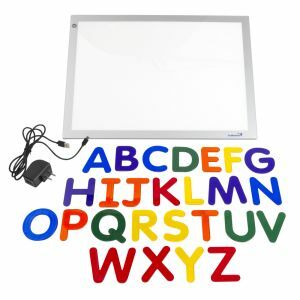 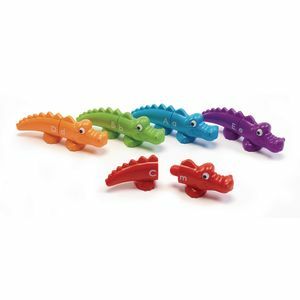 Sturdy alphabet letters are wood and has safe, rounded corners Alphabet letters are ideal for promoting early math and literacy skills Ideal for developing early language skills with alphabet letters Set includes the alphabet - 26 letters Letters are approx. 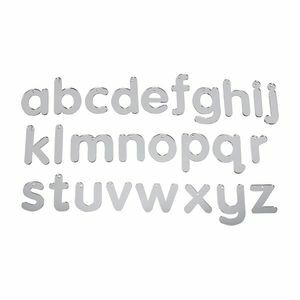 5"H x 1/4" thick, widest is 4"